Target One Day Sale! Save Big On Google Products Today Only! 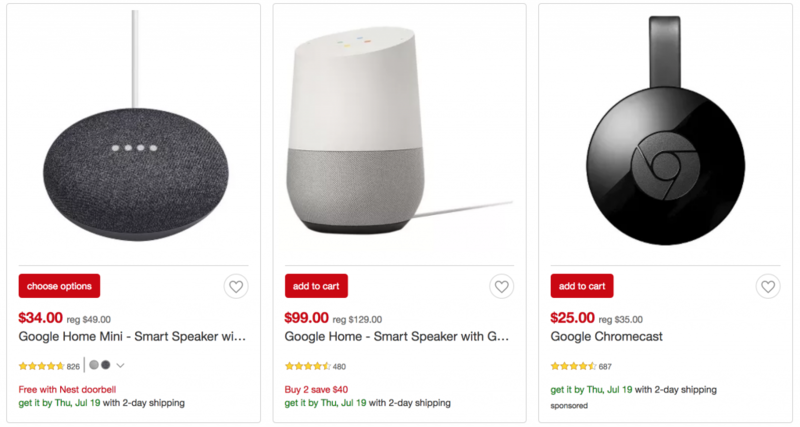 Through July 21st you can save up to 30% off select Google Home products! Grab the Google Home Mini for just $34.00! (regularly $49.00) Plus, you can save an additional 5% when you check out using your Target REDCard and score free 2-day shipping. If you prefer you can get some of these products for the same price at Walmart with free in-store pickup.